Energy-Efficient Farmworker Housing Opens in Calif. The 34-unit development by Peoples’ Self-Help Housing aims for zero-net energy. A 34-unit affordable housing development for farmworker families recently celebrated its opening in Santa Maria, Calif. 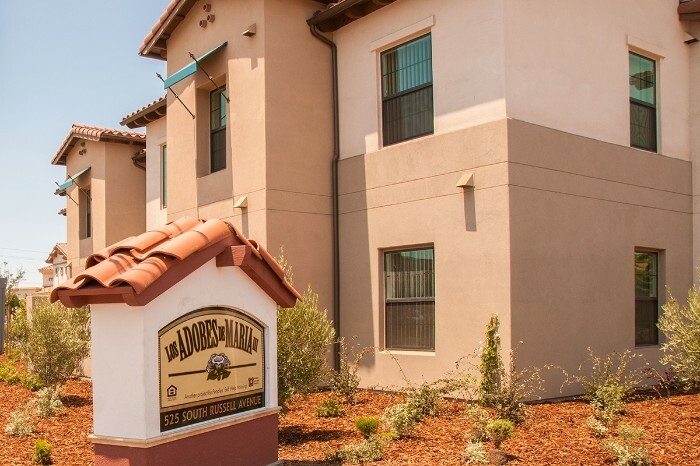 Developed by Peoples’ Self-Help Housing (PSHH), Los Adobes de Maria III (LADM III) is the third development phase of the Los Adobes de Maria community and offers adjustable rent for farmworkers and their families earning less than 60% of the area median income. Residents at all three developments benefit from the site-based educational programming available at the LADM II learning center, which includes after-school tutoring for grades K-8 and support for those bound for college. Adults have access to workforce-readiness, career and small business development programs. The LEED Platinum development features a renewable-energy system to achieve zero-net energy. The property is also designed with solar orientation and nighttime cooling in mind. The $15.4 million development was financed with 9% low-income housing tax credits awarded by the California Tax Credit Allocation Committee. The credits provided approximately $9 million in funding from National Equity Fund. Other funding partners include Wells Fargo, county of Santa Barbara, city of Santa Maria, Department of Agriculture Rural Development, Department of Housing and Urban Development, and NeighborWorks America. Development partners include Carl Schneider & Associates, Peikert + RRM Design Group, Landscape Architect Robert Andrew Fowler, and Interiors by Adele. Founded in 1970, PSHH is the largest nonprofit housing developer on the Central Coast. It serves low-income working families, farmworkers, seniors and veterans and provides welcoming environments for those living with disabilities and the formerly homeless. It also promotes homeownership through a “sweat equity” program that has seen nearly 1,200 homes successfully constructed. PSHH, which manages over 1,800 rental units, has a presence in San Luis Obispo, Santa Barbara, and Ventura counties.